Susan May. I blog at Together Walking. We are a family of 4 that includes me, my husband of 11 years, our 8 year old daughter, and 5 year old son. We also have a kitty and a doggy. Curiosity – What is “unschooling”?? Utter disbelief – People actually live this way and DO this? How can this possibly work? Intrigue – Wow, this sounds amazing! 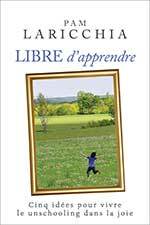 I can’t stop reading about this unschooling thing! More disbelief – How come I didn’t think of this? After all, I’m SMART darnit! (Well by school standards anyway. Hmmm…) And this is just too simple—keep my kids home, live as if school doesn’t exist (in other words, don’t recreate school at home), be their partners, live a full, rich life together! Excitement – I want to do this! Passion – I want to shout this from the mountain tops! How come more people don’t know about this? How come more people aren’t DOING this? Slowing down – Oops—my Husband isn’t so happy about this! I have to slow down a bit. Also not everyone is as keen on this idea as I am. Maybe I need to pipe down a little and keep learning. Learning – A lot, every day. About unschooling, about myself, my husband, about my kids, about the world. Putting it in action – Our kids are school age! We’re actually doing this! And we still learn all the time. And I’m still passionate about unschooling. And I’m still in disbelief. Is this really my life? Pinch me someone, because this is too good to be true. I want people to know that unschooling is possible and it is awesome. I want people to know that central to unschooling is learning and relationships. I want people to know that just because it’s awesome and I gush about it, that doesn’t mean that there aren’t really hard moments or that things are perfect. There are hard moments. It isn’t perfect. I want people to know that unschooling and parenting is mostly about changing yourself. I want people to know that the paradigm shift and internal work is challenging but it is so worth it! 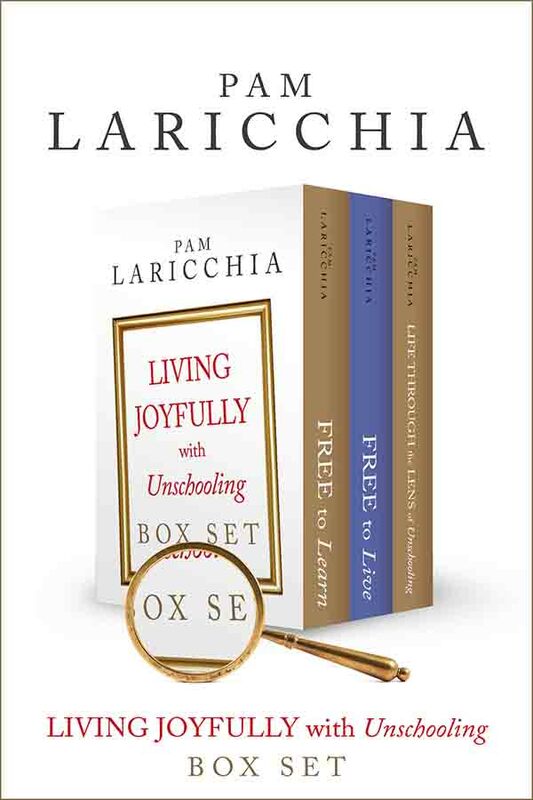 I want people to know that unschooling is a great way to embrace life and live it to the fullest with your family. We discover and explore unschooling, and choose to begin. How did you first hear about unschooling? What spurred you to begin exploring unschooling for your family? 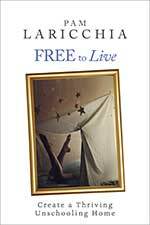 I first came across the term “unschooling” in the biographical blurb of Naomi Aldort in her book, Raising Our Children, Raising Ourselves. The term piqued my interest immediately, “Unschooling? ?” I thought, “I’ve never heard of that. What the heck IS it?” At that time in my life I basically used my computer to check email and that’s it. I did know how to “google” though—so I did. The rest is history. I soon found some websites and groups where I was directed to Sandra Dodd’s website and yahoo group “Always Learning”. I was already interested in learning about alternative parenting philosophies, so even though I had never considered homeschooling, it was still a relatively natural and easy jump to make. 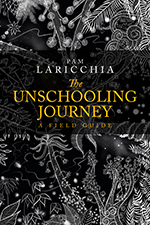 Did family and/or friends try to discourage you from setting out on your unschooling journey? 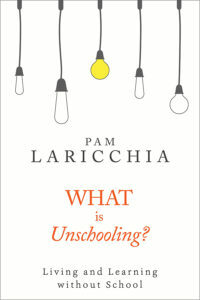 My husband was not thrilled when I began reading earnestly (for hours and hours, night after night) about unschooling. (I believe his exact words were, and I quote, “Stop reading that crap!”) Luckily, I received great words of wisdom—that my relationship with him ultimately is more important to our family than any one idea, and advice on how to explore unschooling together (slowly, respectfully, and lovingly). Because I discovered unchooling when our first child was only a toddler (about 18 months old) we were able to take our time. My mother was very supportive of the idea of my homeschooling our children. In fact, she mentioned the idea long before I even considered it! I have been lucky to have a mostly supportive environment of family and friends. Even when people close to us don’t really understand or possibly disagree with our choices, we’ve been fortunate not to meet a lot of resistance or negativity. When you first started out, what were some of the things you were hoping to address by moving to unschooling? I mostly wanted to have what all the amazing families I read about online had. I wanted the love, the joy, the connected relationships, and the freedom to do what worked best for our unique family. Were there any fears you needed to overcome initially? I’ve had to repeatedly overcome the conditioning in our culture that there is a “right way to parent” and that way largely revolves around controlling children. I had to let go of the fears that I was doing things differently and learn to trust myself and my kids. 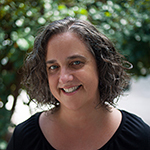 Joyce Fetteroll once used the analogy of fears being balloons that we are afraid to let go of. The balloons that I repeatedly have let go of are about TV/”screen time” and food choices. Luckily, I was able to jump wholeheartedly into practicing what I believed with my kids even when I still struggled internally. I felt the fears still, but I (mostly!) didn’t let it affect my kids or my relationships with them. Because what I read made sense to me intellectually, I was able to “fake it till I made it.” Even when I felt unsure I made choices like I wasn’t scared. This led to more confidence when I saw things were working out well, and today I experience these fears less often all the time. This includes the deschooling phase and some of the more spiritual aspects of the journey. 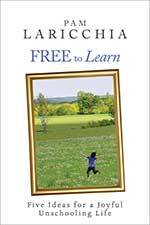 What were some of your favourite ways to learn more about unschooling? Did you prefer to read about others’ experiences or ask questions directly? Meet up with other unschooling families in person? By far my favorite way was on Sandra Dodd’s “Always Learning” yahoo group. At first I was so excited about unschooling and the idea that I could post questions and have REAL PEOPLE answer them that I rather embarrassingly posted very typical, newbie questions. These were questions that I could have found answers to with a quick search of the archives or of Sandra’s site. Fortunately, people were very kind and patient with me (or they ignored me!) and I am a quick learner. We’ve not met many other unschoolers “in real life.” Someday I’m hoping we make it to a conference. 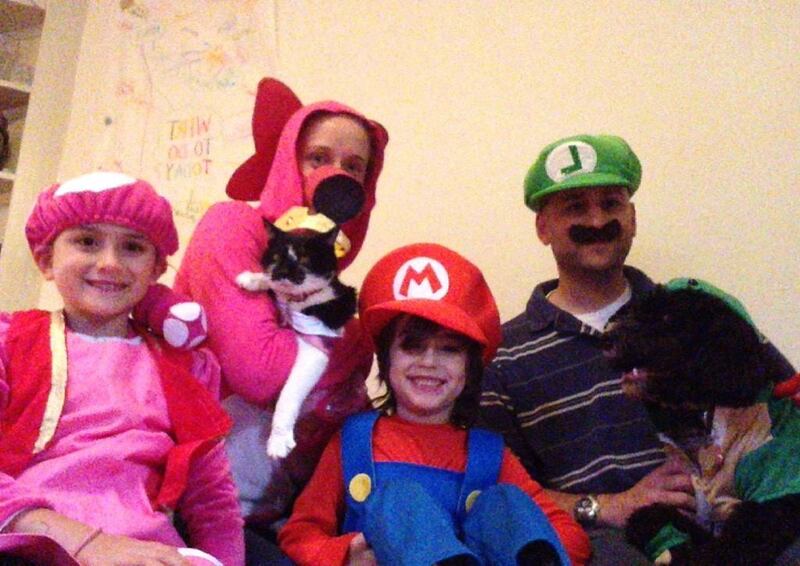 How did you choose to move to unschooling with your family? Was it a gradual process of exploring/implementing one aspect at a time, or did you make bigger leaps at once? Did the process work out reasonably well for you? Because our kids were small when I was absorbing all of this information, there was less pressure to “get it now” than some families feel when they move to unschooling later on. We were able to push our comfort zones and trust our children on “non-academic” things before they were technically “school age”. Also, our children have been unschooled from the start and I believe this is a huge benefit because there are detrimental aspects of the normal education system that they will never have to recover from. My hope is that if they ever attend school, it will be their choice which I believe is a very different experience than the typical “school experience.” Of course, things don’t always go as planned, but for now homeschooling is working for us and it is sustainable. How did you build trust in unschooling? Did you find that observing your children—seeing unschooling in action—helped? 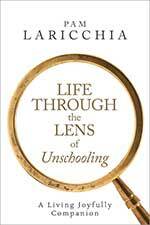 I have to give a wholehearted YES to this helping: “observing your children—seeing unschooling in action”. Yes! This is the basis for unschooling flourishing and for trust to grow stronger. So, even though my mind believes in my children’s abilities, my heart sometimes needs some validation. And every time one of my children does something for the first time, completely of their own volition, my heart leaps and then pumps joy to every cell in my body. Each time this happens, the truth: that children will learn all they need to—in their own time—becomes etched a little deeper in my bones. And this is where the magic lies—not so much in the “firstness” of each new skill or idea, but in the fact that they completely own these moments. Yes, I encourage, show, demonstrate, support, offer help, give tips or feedback (if they are desired), but I can honestly say I have not “taught” my children one thing. And this fact amazes me every time. You cannot cheat on trust. You can fake it for a while if necessary, but the true magic will only happen if you give Trust time. Once you see the magic with your own eyes, your Trust will grow by leaps and bounds and you will no longer need to fake it. If you don’t give Trust a chance or enough time you are cheating yourself of the magic and the chance to grow. Keeping your children home from school and going so obviously against conventional wisdom day in and day out can be draining. Did you find yourself questioning your journey, tempted to turn back? How did you work through those times? I sat here a long time pondering this question. Have I ever questioned my journey? Do I want to go back ever? I can honestly say that I feel so confident in our family’s path right now that it is difficult to remember any times when I felt that way. I had more doubts when my kids were little. I struggled with how best to parent my babies. Would they EVER stop nursing? How would they fall asleep on their own? Would they move to their own bed? Was I doing the right thing by not punishing them? I also struggled with how much my daughter loved to watch shows and movies at a very young age. So I guess that could be considered an unschooling issue. I think that I have benefited hugely from these struggles when they were little. Time after time I CHOSE to let my fear go, CHOSE to keep my struggles private, CHOSE Trust, CHOSE loving kindness as much as I could, and time after time my family was rewarded. My kids DID stop nursing, they DID sleep through the night, they DID become more independent, they DID choose activities that were best for THEM, they DID eat food that nourished them and kept them growing and healthy. And they did all these things without me trying to manipulate them in any way. No rewards or punishment were necessary, no explicit instruction. But saying that I am confident in our journey is not the same thing as saying that we don’t have challenges. We do. Sometimes life flows easily and sometimes it is like we are paddling up a roaring river in a tiny rowboat. But I know that is because life is challenging sometimes. It’s not because unschooling isn’t the right path for us. I think when we are struggling in life we need to remember what helps us. That is why the Always Learning list was so great for me—I could always turn to the people there for honest, critical thought. So if I was struggling I posted a question. I have an amazing relationship with my mother so I was always able to hash things out with her over the phone. Now that I’ve internalized so many voices and am clearer on the principles that guide our family, I need these resources less frequently. Often I am able to work through challenges on my own or in partnership with my family. I still remember they are there if I need them though. Each person needs to figure out what things help them get through their toughest moments. Moving to unschooling often sparks a deeper, more spiritual, journey. In my experience, one aspect of that is questioning the value of judging things and experiences as “good/bad” or “right/wrong,” and how that relates to learning in the bigger picture. Can you share an experience or two where you came to see things you used to judge as “bad” in a new light? I realize this example doesn’t sound like it has much to do with unschooling (other than the arrival of this constant state of tiredness correlating very closely with the arrival of my dear children! ), but me playing games with words, ideas, thoughts and feelings has everything to do with my discovery and exploration of unschooling. Unschooling was the catalyst that caused me to question everything and helped me learn how to squeeze every drop out of Life. Let me give one more example. When Marisol was little I would always analyze every little thing. If she had a meltdown what could I have done differently? Often we blamed not feeding her soon enough. Could we have prepared her better for whatever circumstances seemed to trigger her emotions? Now, I’m not saying that I shouldn’t have thought about these things. Learning from our mistakes, being proactive, and feeding our children in a timely manner are important skills! But the shift I’m making now is away from trying to always getting things “perfect,” because perfect isn’t possible and beating ourselves up when we fall short of perfect doesn’t help anyone. So now I try not to label feelings or exchanges as bad. Instead they are all opportunities for growth, learning, and connection. Did you have an authority figure in your life who didn’t approve of your unschooling choice as you started out? Did that play out as a power struggle? Has it resolved? If so, how? Most of the power struggles about unschooling happened in my head. I thought that people would think negative things about our choices so I felt insecure. Because of this I kept my thoughts and ideas mostly to myself (after I got over the “shout it from the mountain tops phase!) As I grew more confident, I eventually started a blog to get my ideas out where anyone could read them. Now I feel so good about our life and choices that it has almost become a non-issue. It is not something that played out between me and someone. It is something that resolved inside of me as I grew more confident. That being said, I recognize that there may be times in the future when our family struggles again, maybe we’ll face doubts or insecurities or come up against someone or something that makes us question our choices. I’ve found that nothing in life is ever really resolved for good—life moves in waves. I think with experience we get better at riding them. Having fully embraced the unschooling lifestyle, we re-integrate with the conventional world. Do you feel comfortable moving back and forth between the two worlds? I am often aware of the “bubble” we have created and live in. But we are also very much part of our neighborhood and the wider world where school is the norm. So I would say yes, I feel quite comfortable inhabiting and moving between the two worlds. How often do you feel the urge to stay in your “unschooling bubble”? Are there common things that spark it? Reading the comments on articles online is enough to send me back to my bubble. But I’m getting better at two things: (1) Filtering what I read and let in (after all no one is MAKING me read the comments! ); and (2) If I do CHOOSE to read the comments, they are not having such an impact on me. Actually, when I feel really good and confident about a particular choice, vile, ignorant comments can even make me laugh! When others ask you questions about your unschooling lifestyle, do you usually feel their curiosity or their judgement? Do you find yourself defending your choices? I feel curiosity. I have no desire to defend our choices any more. With a well-developed sense of self, unschooling children are able to pursue learning in more formal settings without getting caught up in the trappings of the conventional system. Have your children chosen to attend group classes or structured courses? What was their experience? My daughter has taken quite a few classes: dance, gymnastics, CCD (church classes), and a class at our zoo. She has had almost entirely positive experiences. However, she does not tolerate being bored or doing things that she feels are pointless. I’m happy to keep this resistance alive in her. What, for you, was the most valuable thing to come from your journey to unschooling? Because I cannot pick one specific thing, I will be overly general and say that the most valuable thing is that it has transformed my life and our family’s life into something that I had never imagined before! Our present life is something more beautiful and wonderful than I ever had dreamed of and even more incredibly I can no longer imagine it any other way. 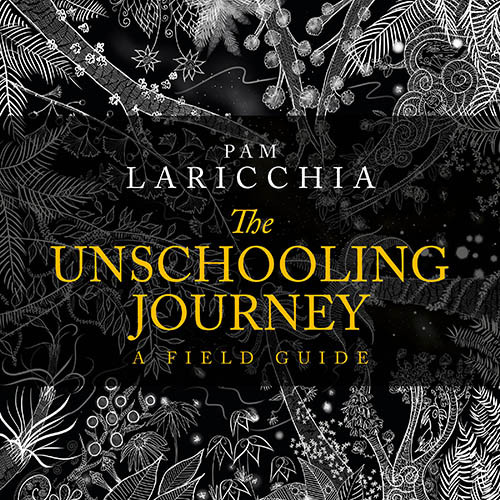 Which to me is the awakening of unschooling—once you know about it, you can’t “unknow” it—the possibility has been revealed to you and will forever influence you. Many may look at the life we are leading and think it is extraordinary. But it is mostly very ordinary. I find such joy every day in everyday things, and I hope my children will learn to do so also. We don’t need to seek to be extraordinary—we already are. We don’t need to try and make the world extraordinary. It already is. Thank you so much, Susan, for taking the time to share some beautiful snippets of your unschooling journey with us! I got goosebumps as I read it, feeling the joy and the challenges alongside you. If you’d like to read more from Susan (and see some pictures from their puppy’s awesome 1st birthday party! ), head on over to her blog at Together Walking.